Protecting your iPad mini's glass display from getting damaged using a glass screen protector sounds crazy, but it's in fact the best case scenario. It's also very costly. 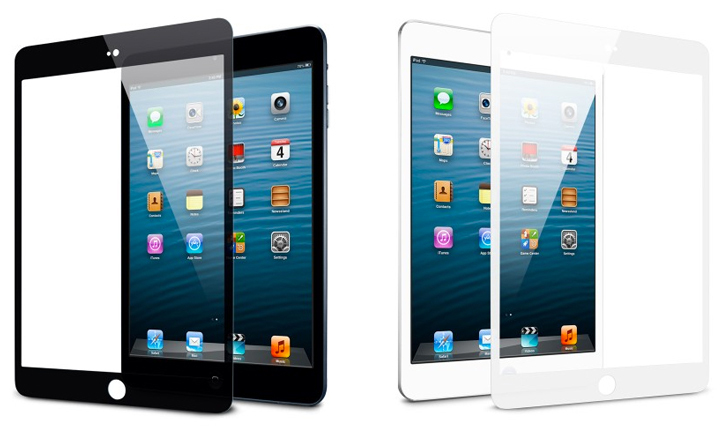 Spigen's new Glas tempered glass screen protector is now available for the iPad mini for $58. The 0.4mm-thick Oleophobic coated Glas comes in both white and black colored translucent frames that entirely cover and protect the iPad mini's glass display without impeding on the touchscreen sensitivity and smooth glass feel. The Glas features precise cutouts for the iPad mini's FaceTime camera and ambient light sensor, and includes a set of colored jelly bean home buttons.